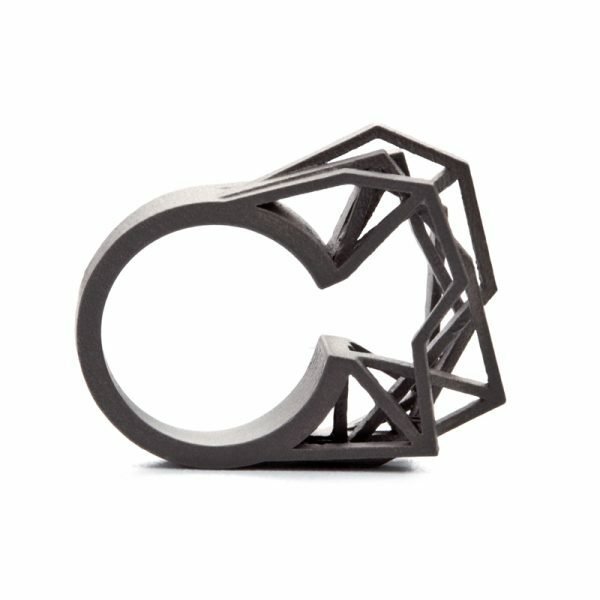 Titanium is one of the strongest materials to be 3D printed! It is made from a titanium alloy powder sintered together by a laser. 3D printed titanium has a perfectly matte surface finish and does not show any corrosion over time, contact with water does not harm this relatively light material. 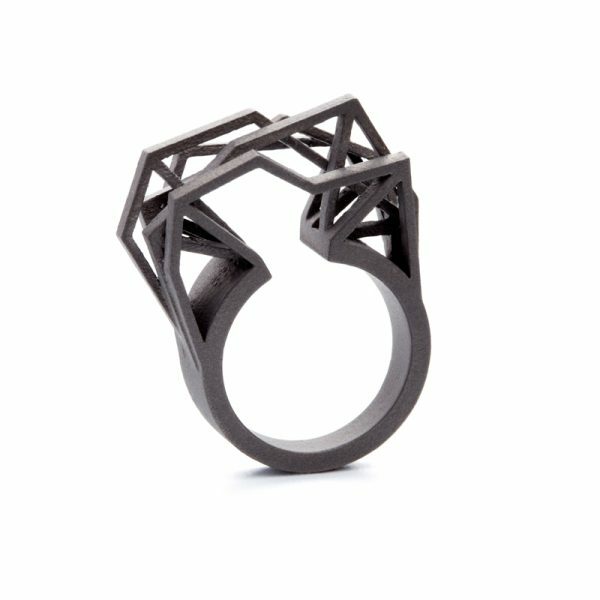 Furthermore, titanium is a hypoallergenic metal which makes it an ideal choice for a wearer with sensitive skin and metal hypersensitivity. These are just few reasons why it is often applied in the medical field. Anyway – we wanted to make extraordinary jewelry with it!